KIEV, Ukraine, March 21, 2014 – Energy and energy security expert Robert Bensh explains how Russia’s takeover of Ukraine’s Crimean Peninsula will shape the oil and gas industry in an exclusive interview with James Stafford of Oilprice.com. Bensh has led oil and gas companies in Ukraine for over 13 years. He served as an adviser to former energy minister and former vice-prime minister Yuri Boyko on issues of Western capital markets and political systems. Bensh says that from an energy perspective Crimea is not a major loss for Ukraine. Now it’s up to the new government to get real shale development in motion. Turkey must face up to its own strategic realities and join forces with Ukraine to harness LNG potential, he says. Stafford: Now that Russia has annexed Crimea, are there fears that it won’t stop there, and that we could see Russian tanks entering Eastern Ukraine? Bensh: The reality is that this game is over. The Crimea is Russia’s and everyone’s let it go. Ukrainian troops are actively disengaging with Russian troops, even with Russian speakers in general. They will not engage, and in return, Russia will not attempt to move further into Ukraine. If Russia rolls into Eastern Ukraine – even if they don’t kill anyone – we know that Poland, Romania, possibly Hungary, possibly Slovakia and definitely the Baltic states will invoke Article 5 of the NATO agreement. And when that happens, General Martin Dempsey, chairman of the U.S. Joint Chiefs of Staff, has already stated that if NATO were called in, the U.S. would stand behind it and support it militarily. The rhetoric has been pretty high, but it’s just that – rhetoric. Stafford: So the game is over, and Crimea is gone. What does this mean for Ukraine from an energy perspective? Bensh: With Crimea, Ukraine loses some prospective offshore oil and gas territory in the Black Sea, but it doesn’t lose any shale. All the shale is in Ukraine’s east and west. But things are going to get tricky now. One of the bigger developments is likely to be the Russian nationalization of Chornomornaftogaz, Ukraine’s state-run gas company in Crimea. 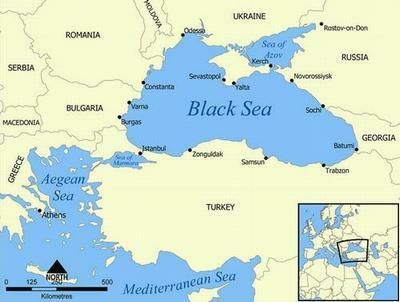 This, in turn, would impact Exxon Mobil’s proposed agreement for offshore Black Sea exploration. Exxon never signed the agreement because the Maidan protest movement was blowing up and they didn’t want to give anything to [now ousted] Ukrainian President Viktor Yanukovych, and rightfully so. But what happens next with that potential deal is up in the air. Interestingly, I think we still have Ukrainian gas prices effective in Crimea but they would fall under Russian law. This is all completely new territory. This isn’t Africa, where something like this is par for the course. High-level government officials here have not been through this before, so it’s a very unique, unwanted challenge. It’s upsettingly interesting. Stafford: What does this mean for Ukraine’s pipeline system? Bensh: Ukraine’s pipeline system would continue to belong to Ukraine unless Russia took over all of Ukraine. To get control of the pipeline system you have to roll up to the Ukrainian borders, side to side. And it’s hard for me to believe that NATO wouldn’t react to something like that. It’s hard for me to believe that NATO wouldn’t respond to Russia taking over the Donbass, Ukraine’s heavy industry heartland. The Russian annexation of the Crimea isn’t going to have a major effect on pipeline gas on either side. Gazprom executives aren’t exactly losing sleep over what could add up to the gain of Crimea and the loss of Ukraine. Russia already ships almost half of its gas to Europe via pipelines that bypass Ukraine, and in 2015, if Gazprom’s South Stream pipeline comes online as planned, it will be shipping a lot more gas to Europe without Ukraine. Stafford: How critical, then, will Ukraine’s development of its shale assets be to forging energy independence, and what needs to happen next? Bensh: We could see some positive developments courtesy of the Russian maneuvering. There may be more impetus to invest in Ukraine’s shale development once the dust settles on the Crimea debacle. We’ll hear a lot of rhetoric for the next six months or so, but then the Crimea incident will be largely forgotten. Ukraine is a great place to operate, and now it will be more transparent, so the sector should be opened up to more investment, which will happen as energy independence assumes a higher priority on the government’s agenda. The country has prices of 14 per McF [thoU.S.and cubic feet of natural gas], which is very attractive. But Ukraine has to take the first step – and there is a lot to do. Clearly, Ukraine cannot be happy with the progress made by Shell and Chevron in the shale development process. The process has been open and transparent, but only on two enormoU.S. blocks. To truly get shale development in the country, Ukraine needs to auction off multiple blocks of shale acreage, and the best way to do that would not be through a data-room process in Kiev, but in Houston or Denver, where a majority of the shale industry is located. 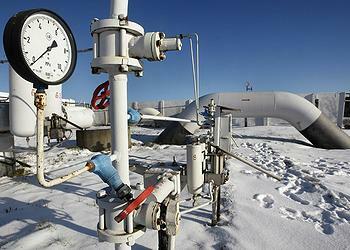 Ukraine needs about 15-20 oil and gas companies developing shale, not just Shell and Chevron. Stafford: What are the prospects for getting liquefied natural gas (LNG) to Ukraine? Bensh: If you can get it through the Turkish-controlled Bosphorus Strait, you would have an endless supply of LNG going to Ukraine. The U.S. now is pushing very hard to open up new LNG facilities in the U.S. to get U.S. shale gas/LNG shipped to Ukraine – but that won’t happen for five years, if it happens at all. Ukraine can’t wait for that. One thing the study shows is that LNG passes through the Houston ship channel, Rotterdam port, Chesapeake Bay, ports of New Jersey – all without incident. I’m very respectful of those who are wary of LNG passing through the Bosphorus, but this fear is not based on fact. It’s based on what they believe, and we have facts that prove otherwise; and at that point we would hope that the larger potential here for all involved would outweigh these erroneous beliefs. 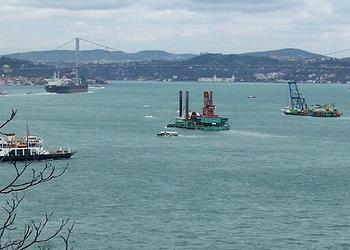 Stafford: How would Ukraine receive gas coming through the Bosphorus? Bensh: Given that Crimea no longer exists – at least from a Ukrainian perspective – an FSRU [floating storage and regasification unit] would sit off the coast of Odessa, most likely, or around that region, which would still remain in the Ukrainian Black Sea. That’s where you would gasify the LNG and put it into the Ukrainian pipeline system. Stafford: Does Ukraine have this capability yet? Bensh: Ukraine already has an FSRU, for all intents and purposes. The only thing we are waiting on is access to the Turkish-controlled Bosphorus. At that moment, Ukraine’s purchases the FSRU and then we’re only about a year away from LNG gas sales. It’s that close. This was all done under former energy minister and former vice-prime minister Yuri Boyko. The only thing Boyko was missing was access to the Bosphorus. The barge is ready. The facility exists and is waiting to be purchased from a Houston-based company. There are traders with LNG just waiting for an order. Stafford: Should Turkey be taking notes here on what is happening in Ukraine with Russia? Bensh: Ultimately, I think Turkey has to look at Ukraine and realize that it is in the same strategic position with regard to energy independence. Turkey should be using Ukraine as a very real example as to why they need energy independence. They should focus on crude oil from Iraqi Kurdistan, development of Turkish shale assets, a complete break-up of the state-run oil company, TPAO, and transshipment of LNG through the Bosphorus. Stafford: You’ve talked before about the possibility of Russia’s actions actually facilitating Ukraine’s move toward signing a trade agreement with the European Union. Is there any room for more optimism over this, and possibly other internal political matters for Ukraine? Bensh: Yes. Russia’s actions have given Ukraine significant resolve to sign the trade agreement with Europe. Prior to Russia’s occupation of Ukraine, there were a lot of Ukrainians in government and business who were willing to sit on the fence, or even gear themselves more toward Russia, with whom they felt more comfortable, especially in eastern Ukraine. However, the violation of Ukraine’s sovereignty, the threat of recession, and the complete halt of work being done in the country has pushed even the most cynical businessperson or politician toward signing an association agreement. I don’t meet many Ukrainians who think Ukraine should be part of NATO, but that could change with the annexation of Crimea. The Maidan protest movement was effective in giving the public a voice toward removing what they believed to be a corrupt and unjust government. What’s happening now is that the Russian move is further escalating Ukrainian patriotism. Indeed, it is creating fervent Ukrainian patriotism. I’ve been here for some 15 years, and I’ve never seen anything like it. I’ve never seen the country so united before. For me, this seems to be the birth of a new Ukrainian nation at this point. I’ve never seen so many 22 to 40-year-olds completely charged and excited about their country and wanting to be a part of their government. I’m an American – we’re extremely patriotic. Canadians are patriotic, Russians are patriotic. Ukrainians weren’t, and I’ve never seen Ukrainian patriotism higher than right now. And as a visitor to this country I find it quite heartening. Stafford: How would you measure the Obama administration’s response to this crisis? Bensh: Well, I’m not a politician. I’m a businessman on the ground. For 14 years, I’ve been very critical of how the U.S. has handled relations with Ukraine. We’ve had good ambassadors here, some better than others. While I think the U.S. was slow to respond to the Maidan protest movement, and at points in time did not approve of how the administration was handling the situation in Maidan, I am exceedingly proud of this current U.S. ambassador, Geoffrey Pyatt, and how he is handling himself. Even the Ukrainians on both sides of the fence respect him, which is really hard.